If students have this year’s Pumpkin Run shirt, they may wear it to school tomorrow with jeans (and their regular school shoes). If they do NOT have THIS YEAR’S Pumpkin Run shirt, they must wear their school uniform. As we commemorate All Saints and All Souls day, we will continue our remembrance of the Wall of Holy Souls. You may submit your request via a paper copy or through our online process this year. Your loved one will be published on the wall and remembered in our book of prayers throughout the month of November, including our monthly rosary on the first Friday of the month. Monday (10/30): Students may wear a Pumpkin Run shirt from any prior year over their uniform. Tuesday (10/31): Students may wear a Pumpkin Run shirt from any prior year over their uniform. Wednesday (11/1): All Saints Day School Mass – Holy Day of Obligation – NO Pumpkin Run shirts may be worn on this day. Thursday (11/2): Students may wear a Pumpkin Run shirt from any prior year over their uniform. Friday (11/3): Students are encouraged to wear their 2017 Pumpkin Run shirts with jeans. *Please note that this is NOT a free dress day for those students who do not have a Pumpkin Run shirt. Students must wear their regular uniform if they are not wearing a 2017 Pumpkin Run shirt. No school Mass today. Fire up the ovens and make that pumpkin bread! We rely on your assistance to help make this run a success. If you do not like to bake, Publix, Fresh Market and Apple market have bread you can buy and bring to school. Thank you, in advance, for your support. 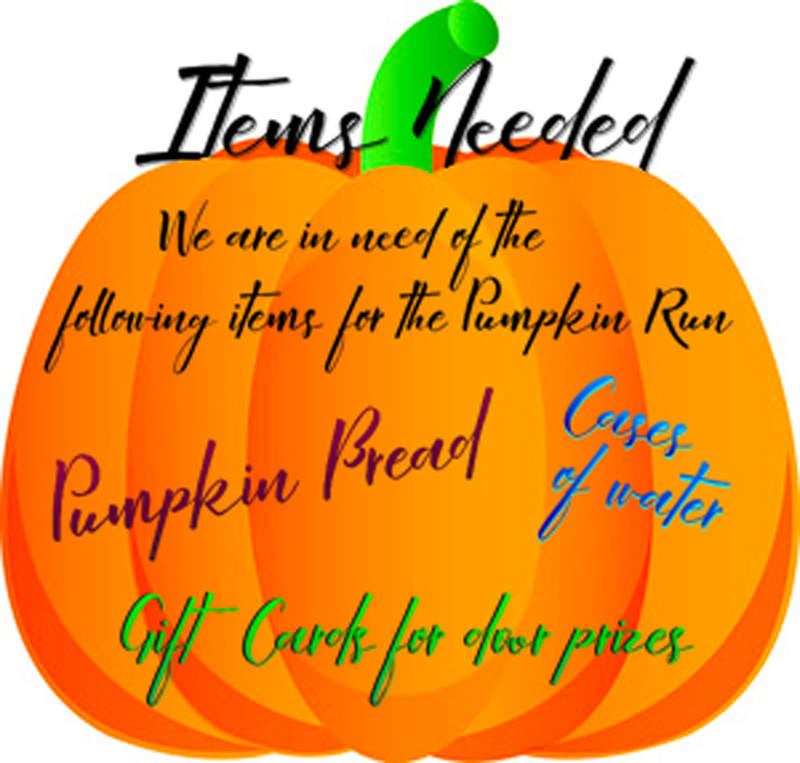 Please join us in supporting our annual Pumpkin Run. This is not only a huge fundraiser for Sacred Heart Cathedral School but it is also a way to showcase our wonderful school and community. Tomorrow, (Friday, November 4th) students may wear this year’s Pumpkin Run shirt over their uniform. Please note that prior year shirts are not allowed tomorrow. Also, if your family has not yet sent in two loaves of pumpkin bread, please send it in the morning. Our runners look forward to the pumpkin bread every year. If you don’t have time to bake, pick up loaves at Apple Market or Fresh Market. We are also still gratefully accepting donations of bottled water and gift card or other items to be used as door prizes. Thank you for everything you do to help make the Pumpkin Run a success and we look forward to seeing everyone at the run on Saturday morning. The Medical Center Clinic P.A. One of the things that makes our Pumpkin Run so special is the delicious Pumpkin Bread which we offer to all participants after the race. We ask all of our families to help by baking bread and sending it in for our race participants. You can download Sacred Heart’s Pumpkin Bread recipe here. Please slice the bread and wrap it in aluminum foil.